Let’s take a quick detour here to underscore how cultural differences and norms still exist in a globalized game. In Italy (and Spain) wages are usually expressed in annual net (or “after tax”) terms. In England, they are gross (“pre-tax”) and they are weekly, a quirk that goes back to the game’s working class roots when some players would do a weekly shift down the coal mine during the week and then play in front of 60,000-strong crowds on weekends. That’s a massive discrepancy of some £7.7m a year. In these situations, you try to reach out to sources who could shed some light. In this case, the only people who would know first-hand are a smattering of folks at Juve, Ramsey’s representatives, the lawyers involved and Ramsey himself. Then there’s another circle who might have second- or third-hand information. I hit up as many folks as I could, and while Juve stuck to their original number, another source with knowledge of the negotiation suggested the figure was somewhere in-between Juve’s £252,000 a week and the BBC number of £400,000. At this stage, you might wonder why it matters since either way, Ramsey, already a successful footballer, becomes even wealthier. Well, it’s important because clubs have finite resources to allocate. And how they choose to allocate them — which means, effectively, how much they pay in transfers, to whom, and how much they pay in wages — determines what they can and cannot do next. Ramsey’s current club is a case in point. Last month, Arsenal manager Unai Emery said they could only make loan signings in January. This was (in part) due to the fact that a year earlier, in the space of a few days, they committed to more than $150 million in wages through 2021 on Pierre-Emerick Aubameyang, Henrikh Mkhitaryan and Mesut Ozil, three veteran players. 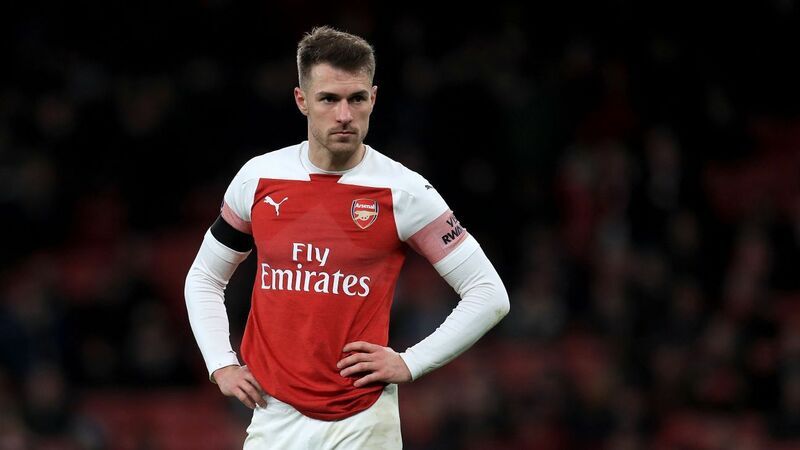 It was doubtless part of the reason why they were unwilling to match whatever Juventus was offering the 28-year-old Ramsey even if the contract is worth £250,000 a week, let alone £400,000. The same applies at the Juventus end. After several years of profit, they made a loss last season of €19.6m ($22.1m). Not a huge deal, except for the fact that last summer they signed a certain Cristiano Ronaldo for €100m ($113m) and gave him a four-year deal worth around $68m a season. That’s a massive investment and, perhaps, part of the reason why Gonzalo Higuain and his enormous salary went out on loan this year. While Juve hope to offset it by growing commercially thanks to Ronaldo and (hopefully) winning the Champions League, as with all investments, there’s still some level of risk involved. This is why the £250,000 a week (€7.5m a season) number put out by sources close to Juve seemed more plausible. It’s not a knock on Ramsey, a fine player, but even at £250,000 a week he’d be Juve’s second-highest paid player (after Ronaldo). What’s more he’s 28, which means his resale value will be low should things not work out. At £250,000 a week, very few clubs in the world could both afford him and be willing to pay a fee for him. At £400,000, it’s hard to see anyone who would pull the trigger and take on his contract. What’s more, Juve’s squad is filled with older players like Ramsey: you’ve got Ronaldo and Giorgio Chiellini (both 34), Mario Mandzukic (32), Leo Bonucci, Sami Khedira, Blaise Matuidi (all 31), Juan Cuadrado (30) and Miralem Pjanic and Douglas Costa (28). (You can throw in Higuain, who is 31, if things don’t work out at Chelsea.) In any organization, you try to have a flatter curve age-wise because you don’t want a whole bunch of guys to get old and need replacing all at once. While some of these guys may leave in the summer, Ramsey still seems counterintuitive in this scenario. At £250,000 a week, he feels like a calculated risk (but still a risk). At £400,000, it would feel like a reckless gamble. In other words, high earners become a benchmark. At £250,000 a week, Ramsey will either have an inevitable upward drag on Juve’s wages or it’ll leave some players unhappy. At £400,000 a week, he’d send the wage bill into orbit. That’s what makes this situation, and the different noises coming from different camps, so difficult to interpret. The good news? We’ll have a clearer picture when Juve publish their accounts. After all, “hiding” £7.7 million in an audited financial statement issued to shareholders is rather difficult to do.